Fort Hartsuff State Historical Park is comprised of a portion of the original 1280-acre Military Reservation. The nine original permanent buildings on the Park grounds are constructed of grout, a mixture of gravel, lime, and cement similar to concrete. Some former temporary structures and other features such as the original Fort cemetery are on private property. Active between 1874-1881 during the height of Indian warfare on the Plains, the Fort provided protection for both settlers and friendly Indians. At the Fort, a social center for the surrounding area, settlers found employment and a market for their farm produce. Abandoned in 1881, the buildings were purchased by the Union Pacific Railroad, whose intention to establish an immigrant center here was never realized. In 1897 the site was purchased by local investors. It became a farm headquarters until donated to the State of Nebraska in 1961 by Glen and Lillian Auble of Ord. The Nebraska Game and Parks Commission is responsible for restoration and maintenance of the Park as a part of the state-wide Historical Parks system. The Park and surrounding district was named to the National Register of Historic Places in 1978. 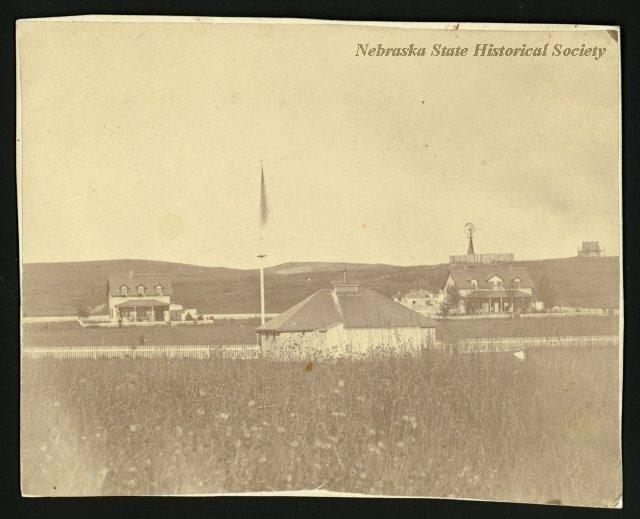 “Fort Hartsuff State Historical Park,” Explore Nebraska History, accessed April 18, 2019, https://mynehistory.com/items/show/506.